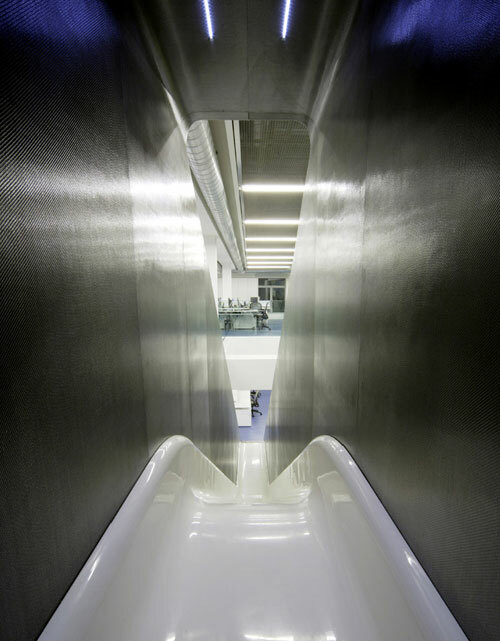 This is an amazing office, not just because of the sleek minimalistic look, but because of the awesome carbon slide! 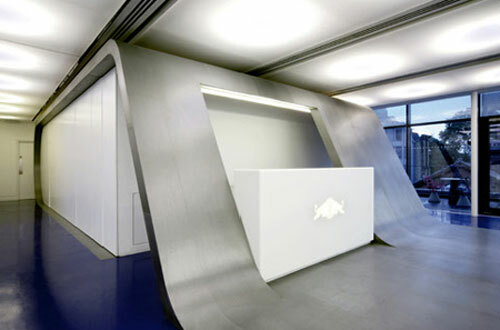 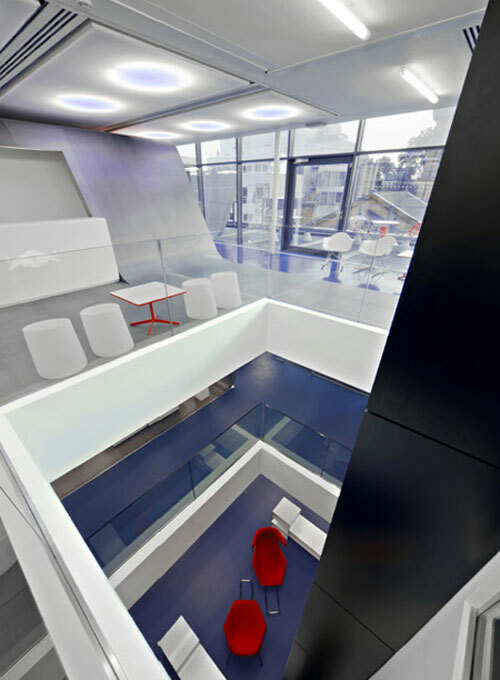 Red Bull’s 3 floor office was designed by Jump Studios, an architecture company from London, UK. 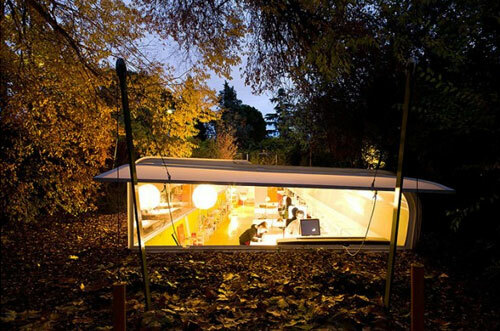 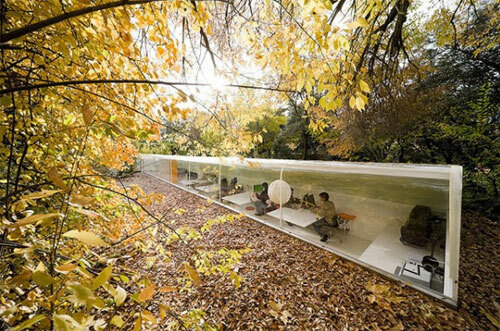 This office at Selgas Cano Architecture was designed to be embraced by it's natural environment. 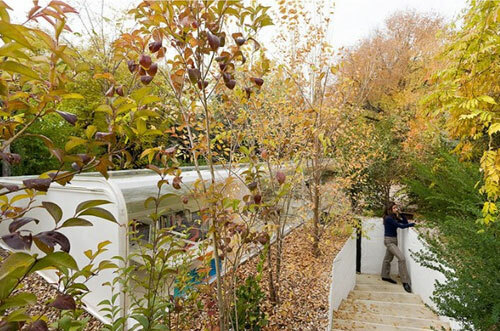 So in order to achieve that, it was built below the ground with a long curved window which provides an uninterupted view of the plants and trees. 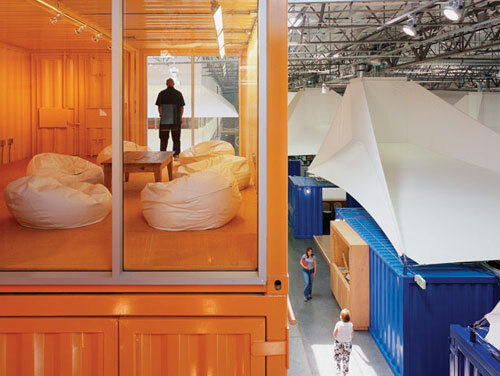 What a truely peaceful environment to stimulate creativity. 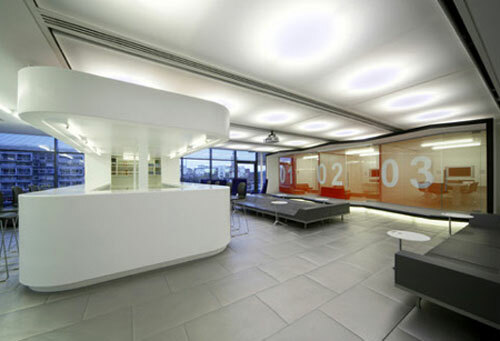 When Pallotta Teamworks asked Clive Wilkinson Architects to create a one of a kind office, they got what they asked for. 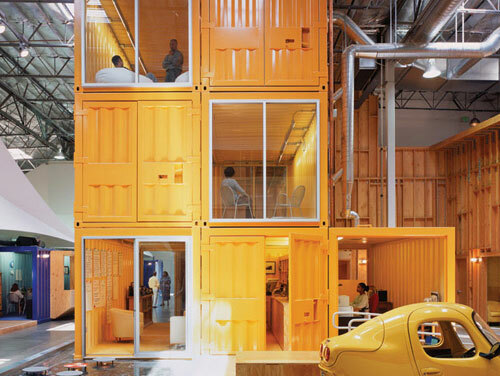 Made entirely out of shipping containers, they are stacked on top of each other and painted in a variety of striking colours.